from the minds at MAG. At EventTech 2017, we saw the nation’s leading experiential marketing specialists offer their insights into how the new year — 2018 — will change the industry. Naturally, our own Erin Mills was a featured speaker. In her presentation, Erin demonstrated that experiential marketing firms are going to spend 2018 leveraging new and developing technologies to generate B-to-B conference and event content that’s more democratic and more responsive than it’s ever been before. So every year around this time I get a friendly email from my digital designer reminding me that my Thanksgiving blog article is due in a week. Her gentle nudge also pushes me to perhaps reflect deeper than I normally would on a Monday morning. But I love it, I really do. I love thinking about all the good in this world, and, more importantly, the good that’s around me. Born between 1965 and 1984, this crew came of age through two great economic disasters, the housing crash, the death of job security, and the rise of divorce. They grew up during America’s longest war and, in their adulthood, have seen the emergence of an even longer one. Sandwiched between the black-and-white Baby Boomers and Millennials, Gen X is a wash of gray — neither hippies nor hipsters, neither tech natives nor old fogies. The Boomer worldview was defined by the end of WWII; the Millennial worldview by 9/11 and the digital revolution. But what defined Gen X? If you work at a marketing firm or had a marketing firm pitch you, you’ve probably heard this phrase before. This is bad advice. It’s fundamentally incorrect. And it’s attitudes like this one that are responsible for bad pitches, activations, and campaigns. We celebrated Spectrum NY1 network anchor, Pat Kiernan’s 20th anniversary on air with free breakfast food trucks. We hosted a scavenger hunt around NYC to celebrate The Presidents Cup kickoff and generated excitement amongst golf fans. We partnered with AGT International to launch FUSO’s eco-friendly box truck the eCanter. We provided an engaging experience for fans on behalf of VH1 at RuPaul’s DragCon. We created an interactive NYCFC experience for the fans by way of an immersive, pop-up shop and event space. We partnered with CNN to promote the premiere of the network’s latest docuseries, The Nineties. We raised awareness of the third annual Red Nose Day in the United States, a cause benefitting children in poverty. We celebrated Dear Evan Hansen surrounding the 2017 Tony Awards Season. Case Study Spotlight: MobileIron LIVE! We reinvented MobileIron’s Annual User Conference, creating an event unlike any MobileIron had produced previously. https://www.themagexperience.com/wp-content/uploads/2017/11/mobileiron-live-9.jpg 1200 1800 MAG http://michael-alan.com/wp-content/uploads/2018/09/logo-main-2-300x138.png MAG2017-05-19 13:48:082017-11-09 15:13:05Case Study Spotlight: MobileIron LIVE! We delivered an on-brand experience to media teams across NYC during the 2017 Upfront Season. The Michael Alan Group is a pretty cool place. But even we at MAG aren’t too cool to tell our mothers we love them. So as a tribute to all the MAG moms and all the moms of MAGsters, we’re going to bring you ten of our favorite Mother’s Day marketing campaigns. We produced DataDisrupt, a two-day conference which included keynote speakers and fireside chats from financial services and data analytics companies for over (400) attendees. Hello, and welcome back to our three-part series on building a brainstorm. Our mission: to explore time-tested strategies for generating top-shelf experiential marketing ideas. Last time, we kicked off the trilogy with an in-depth look at how experiential agencies can elevate their RFP research process. Now we’ll be investigating the best ways to prepare a brainstorm, get the team warmed up, and deliver the briefing. There’s a lie that people have been telling for a long time. A devastating, pernicious lie. A lie that betrays youth and deeply detracts from the happiness of adults. That it’s wrong to play with your food. After much internal debating, we at MAG have decided to come clean, and tell the world the truth about playing with your food. That it’s fun. That it’s delicious. And that people will love you for letting them do it. 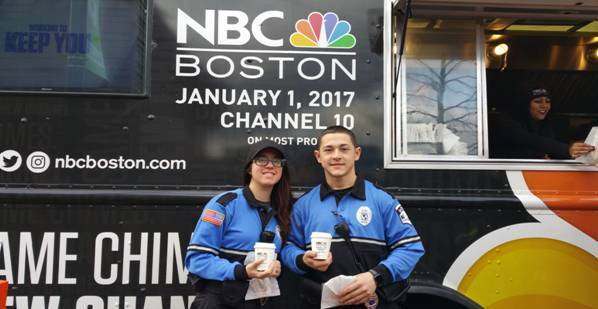 We raised awareness for NBC Boston’s owned & operated channel, which launched January 1st, 2017. Welcome to our three part series on pitch ideation. During this trilogy, we’ll walk through the ways in which experiential marketers can work as a team to cook up inventive solutions to client challenges. Later on, we’ll explore techniques for brainstorming, but before we get to that, we’ll begin with the prep. Here are our top 10 steps for researching an incoming RFP. As important as it is to knock the socks off consumers, it’s all the more important to knock the socks off your clients. And the quickest way to your client’s socks is often with the delivery of data. Today we’re going to explore the five reasons why your experiential marketing event needs data collection and the five best ways to pull it off. We created social media vignettes to promote the Ringling Bros. and Barnum & Bailey Circus’ show, Out of This World. We raised awareness for the launch of Rachael Ray’s premium dog treats at South Beach Food & Wine’s Annual Yappie Hour Event, hosted by Rachael Ray. Welcome to installment number two in our series exploring event marketing upgrades, where we focus on small changes that make big gains. In this edition, we’re diving into the world of promotional products and highlighting the go-to swag consumers love. Some love to hate it and some hate to love it, but Valentine’s Day is nevertheless upon us again. While many couples are off to smooch over a fancy meal (as some singles are eyeing the next day’s discounted chocolate), we’re here to celebrate the center of it all: L-O-V-E, love. It sounds oxymoronic to describe live events as being accessible anywhere at anytime by anyone, but, with live streaming, they really are. Products like Facebook Live, Youtube Live, and Periscope make it possible to grow event audiences exponentially via web promotion. By streaming video live, they empower us to maintain of-the-moment urgency, and, by incorporating feedback features, they enable us to interact with absent audiences as immediately as we interact with in-person attendees. Empirically proven: the Empire State’s 10 best spots to activate. We love New York and we’re proud of it — clichés be damned! It’s the city that has everything — a concrete jungle where anything (and just about everything) goes. Here, work, play, and people come together from every demographic. The city’s variety, diversity, and unparalleled cultural cache converge to make it one of the world’s best locations for brand promotion. To welcome in the New Year, we’ve put together our predictions for all the ways that experiential marketing is going to evolve in 2017. Virtual, Augmented, and Mixed Reality technologies are quickly gaining technical and popular momentum, as is 360° Video. And while the law of accelerating returns would suggest that ubiquity can’t be far off, these technologies still have the novelty to attract and wow consumers. So if a brand wants to draw focus, align itself with innovation, and give consumers first-hand experiences that literally defy reality, they need to begin by picking the right alternate reality to work with. We’ve been planning and executing productions and events for over 15 years. This is the first installment in our series on Small Changes, Big Gains, where we explore simple ways to elevate your event. The holidays have arrived! We’re ecstatic about the music, the lights and, most certainly, the food, but shopping for presents can sometimes be a bit of a stress. While we can’t exactly compile gift ideas for your friends and family, we’re quite the experts on what to gift event professionals! We’re positive you’ll find something perfect in this guide for any event prof in your life. While we should of course aim to be thankful throughout the year, the holidays are almost like an outlook meeting reminder in case we find ourselves slacking. This holiday season brings an unusually profound reminder as MAG celebrates 15 years in business. As I look back on these remarkable 15 years, here’s what I’m particularly thankful for. In honor of Veterans Day, we are flashing back to our 2009 promotion for the launch of WE tv’s Wedding Sunday programming with a military wedding in Times Square. We helped raise awareness for the launch of Rachael Ray’s premium dog food, Dish. We celebrated Shape Magazine’s 2016 Beauty Awards, an annual event recognizing the best beauty products over the past year. We produced a pop-up blow dry bar with InStyle Magazine featuring Dyson’s new Supersonic Blow Dryer Styled by GlamSquad. We reinforced Bounty’s partnership with 3-time gold medal winner, Allyson Felix, with The Quicker Picker Upper Games. We raised awareness for Union Square Partnership and drive traffic to the park with a 9-week community program, Summer in the Square. We promoted travel to Curacao and the tourism board’s many sponsor hoteliers with a custom batido food truck. We created an onsite gaming area at the Brooklyn Comedy Festival completely branded for IFC’s Comedy Road Show and their sponsor, Hershey’s Ice Breakers. We produced the 12th Annual U.S Trust GROW! Awards, which brings together 130+ Silicon Valley CEOs. We assisted with planning and hosting Pivot’s 2016 Upfront Events. Aaron Fischer is MAG’s New Business Coordinator. Naturally, you are wondering if he has ever lived in a castle. If so, for how long? Answers await you. We produced USOC’s 2015 Team USA Awards honoring exceptional Olympic and Paralympic Athletes from the past year. We partnered with Northwell Health to promote their name change (formerly North Shore-LIJ Health System) to internal employees. We celebrated the 10th Anniversary of Rachael Ray Every Day Magazine by activating a Food Truck & producing a VIP Party. Elizabeth Walker is MAG’s VP and Rising Star Award Recipient. Uncover her true feelings about peanut butter filled pretzel nuggets. The answer may surprise you. We worked with TraceLink to bring innovative engagement and networking opportunities to the life sciences industry at their 2-day conference, NEXUS ’15. We partnered with Duane Reade & Walgreens to raise awareness for the United States’ inaugural Red Nose Day, a cause benefiting children in poverty. We created a unique presence for Nickelodeon’s new Ninja Turtle Series at New York Comic Con. We promoted the Season 2 Premiere of HISTORY’s Mountain Men by producing an all day “City Trek” in NYC’s Union Square. We celebrated the 25th Anniversary of Scholastic’s The Magic School Bus with a custom bus stop, Miss Frizzle, and a trip down the Hudson. If you screen it, they will come. Crowds of tween fans descended on locations across the country for the opportunity to watch the season premiere of Degrassi before it aired.